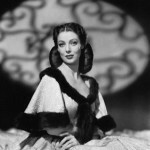 Popular in the past American actress, winner of the award “Oscar” for Best Actress (1947) Loretta Young was the embodiment of elegance and splendor of a film star. 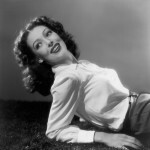 A quarter of a century, she starred in about a hundred movies, and played with such film geniuses as Frank Capra, Cecil B.Demil, John Ford and Orson Welles. 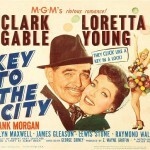 Born in Salt Lake City, January 6, 1913, Gretchen Young was the daughter of Gladys Young Royall and John Earl Young. Her parents divorced when the child was 3 years old. In fact, started acting in films at the age of three. 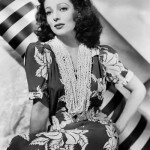 Her mother with three children – Loretta and her two elder sisters, moved to Southern California, where she bought a boarding house. Loretta began playing with her elder sisters, Polly Ann Young and Elizabeth Jane Young (later better known as Sally Blane). 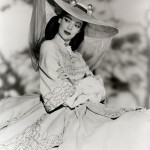 The girls worked as child actresses, however, Loretta was the most successful. 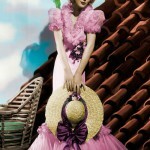 When the silent film star Mae Murray saw little girl Gretchen she wanted to adopt her. Although her mother declined the offer, she allowed Gretchen to live with Murray for two years. When Loretta was 10, her mother got married to George Belzer. 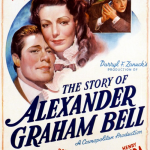 Gretchen went to school in a convent, but returned to film at the age of 14. 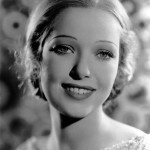 The actress starred in Collin Moore’s’ “Naughty but nice” (1927), which allowed her to sign a contract with First National, the forerunner of Warner Bros. 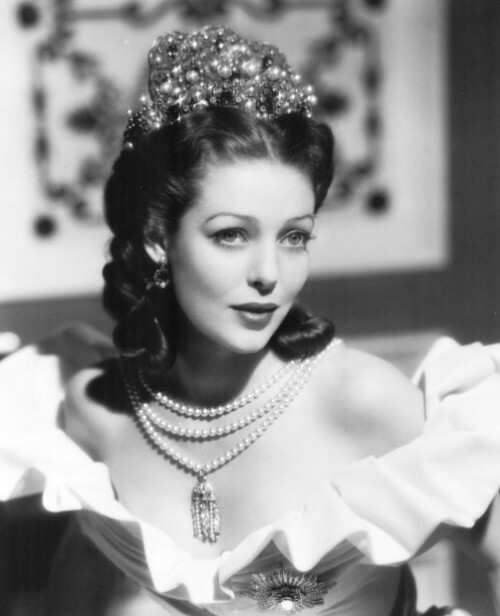 Meanwhile, Gretchen Young has become known as Loretta Young. 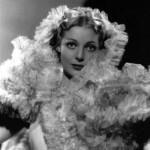 Her beautiful blue eyes, a neat person helped Young become the leading actress, often playing a beautiful lady. 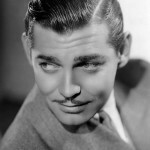 Newspapers in 1930 shouted: Grant Withers, actor, who was married, and nine years older than Young, escaped with 17-year-old Loretta (they both played in the Warner Bros. movie «The Mystery of the Second Floor” (1930). 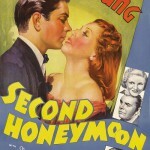 The marriage was annulled in 1931, the same year in which the pair once again played leading roles in the film, ironically, “Too young to marry” (1931). 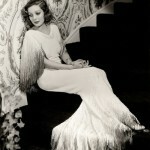 Loretta continued to act many roles with full dedication in the 20s-30s, about six to nine films a year. 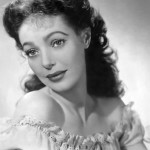 Her two sisters were also actresses, but not as successful as Loretta, whose natural beauty had its advantage. 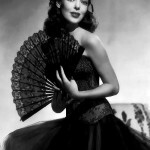 In the 40’s Loretta is still one of the most beautiful actresses in Hollywood. 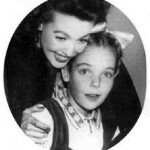 In 1940, Loretta married a businessman and producer Tom Lewis, gave her born in 1935 child the name of Judy Lewis, though Tom never adopted her. Four years later, Loretta gave birth to a son, Christopher Lewis (later director), and then another son – Peter Charles (singer – songwriter who became a member and co-founder of the notorious in the 1960s San Francisco rock band Moby Grape). 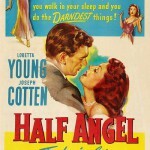 Meanwhile, Young’s career reached its zenith in 1947 when the actress won an Oscar for her starring role in “farmer’s daughter” (1947, dir. GK Potter), in which the daughter of a poor Swedish immigrant becomes a member of Congress. 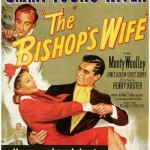 The same year she co-Cary Grant and David Niven starred in “The Bishop’s wife” which the audience loved, it had a great success and is still shown on TV during Christmas. 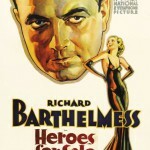 Her personal life was surrounded by constant media attention. She was thrice married, gave birth to a daughter, Julia Lewis and two sons. Julie Lewis, until 1994 officially considered a stepdaughter. 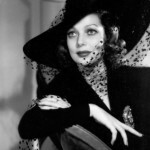 Only many years later, Loretta Young admitted that the story of the alleged victims (Julie’s parents) in the crash, which she believed in for many years, in fact, was just a fiction. 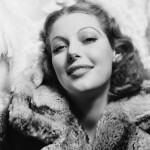 Her parents were Clark Gable and she herself, Loretta Young. 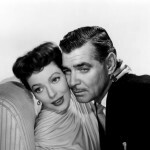 Loretta Young and Clark Gable met on the set of film “Call of the Wild” in 1935. There they began a passionate affair, which lasted nearly three months. It was no secret to anyone of the members of the crew. The secret was that the 22-year-old actress got pregnant. 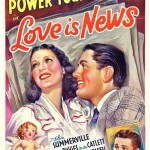 Loretta couldn’t give a chance to Gable to marry her, she was married for the second time and was not going to divorce. The true Catholic, Loretta could not go out to give birth to an illegitimate child. Thoughts on abortion were forbidden – for the same religious beliefs. She could not trust anyone except her mother. Then her mother came up with a clever move that allowed her to have a baby away from those who knew her, in a secluded place. 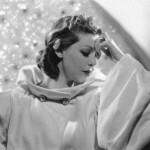 When the time came, Loretta went with her mother to Europe, where a baby girl was born, on November 6, 1935, she called her Mary Judith Clark at baptism. About six months the girl stayed in the house of Young. Then the child was in the house for orphans, but a year later Young took the girl home, stating publicly that she was going to adopt another child. Julie then turned 19 months. However, the relationship between mother and daughter did not work out. 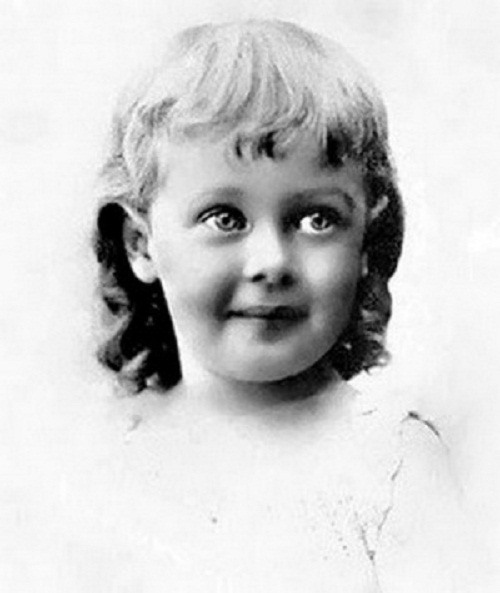 As a child, most of all she lacked parental care, referring to the words of Young, father only once visited her – when she was two weeks. Lewis needed not only his father’s care, but also the mother’s love. Loretta did not spoil her daughter with attention. In addition, her artistic career almost did not leave time to care for a child, so she hired different nurses for Julie. 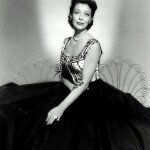 The embodiment of elegance and splendor Loretta Young appeared in 1953 movie “It happens every Thursday,” and the same year began her own drama show series “Loretta Young Show” on channel NBC. 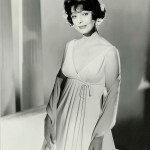 The series lasted for eight years, and each of the series began with a spectacular exit stars, dressed in a flowing dress. 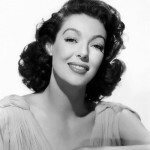 The series got three prizes actress “Emmy”. 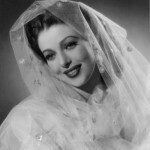 Loretta Young left show business in 1963, devoting herself to the Catholic charity. 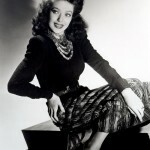 However, in 1980 she returned to the small screen. 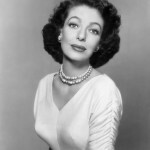 Her last appearance on screen was in 1989, in the movie “Lady in the corner.” Actress Died August 12, 2000.